Having No Religion or Faith.. The trend is evident across all age groups but is particularly marked among young people, with 71% of 18-to 24-year-olds surveyed in 2016 saying they had no religion, up from 62% percent the previous year. From what I remember the US has similar but lower numbers and also trends significantly downward but not yet to the extent of Britons. I wonder how much of this decline here is associated with politics? Evangelicals are now known more as an ultra right political group than a religious one. That fact alone does serious, and maybe deadly, harm to religion. On another thought, there are just so many things that educated people today see to enforce their belief that religion does more harm than good in our societies. They look at all the wars in the world today and see that religion is the source for almost all of them. Too many versions of religions demand a blind faith. That is, you are supposed to take whatever they say is true no matter was current day facts prove. That alone will eventually cause the demise of most forms of religion in the world. God gave us intellect and a questioning attitude for a reason. When we as a world community finally come to see that we are all praying to the same God we may be able to eventually salvage what’s left of religion from the dust heaps of time. These are pretty harsh words but I think they need to be said. 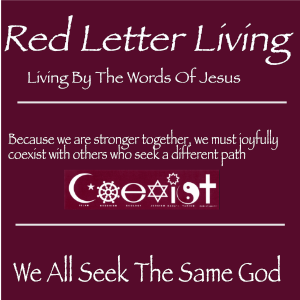 I proudly say I am a follower of Jesus Christ and his messages to us but I am currently not religious. This statement causes confusion in many but once I explain this dichotomy they understand what I am saying.